Season’s Greetings everyone! I think it is finally appropriate to say that. Ha! 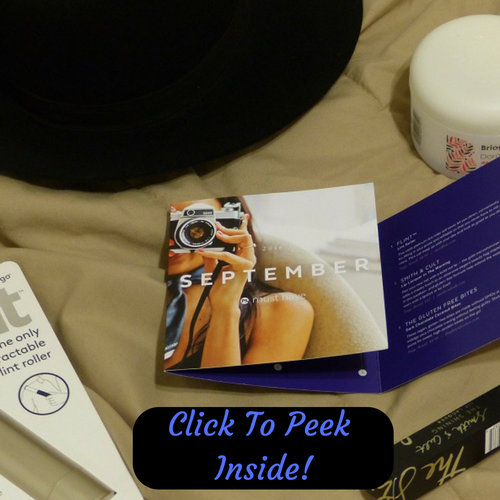 I’m super excited to share the contents of this months PopSugar Must Have Box! 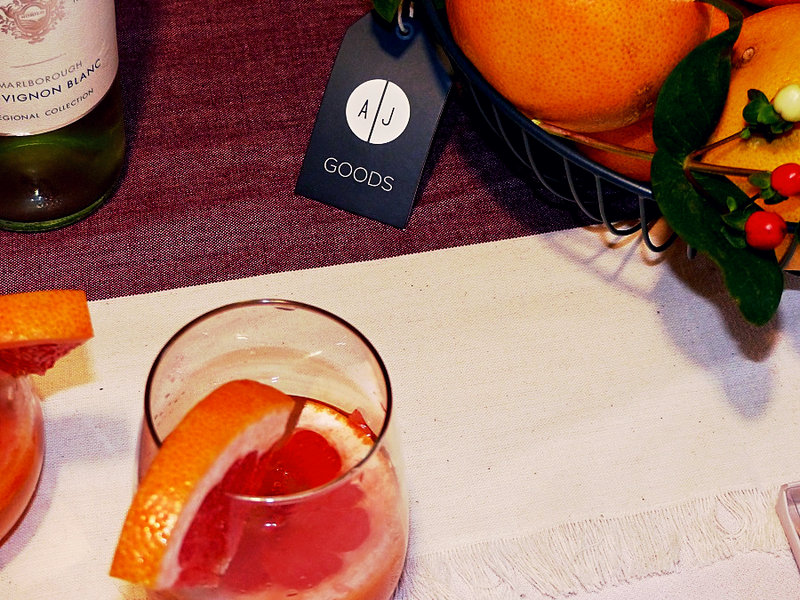 November is the month that kicks off the holiday feels and gatherings. I love November. 🙂 This month’s PopSugar Box fits right into that theme too. 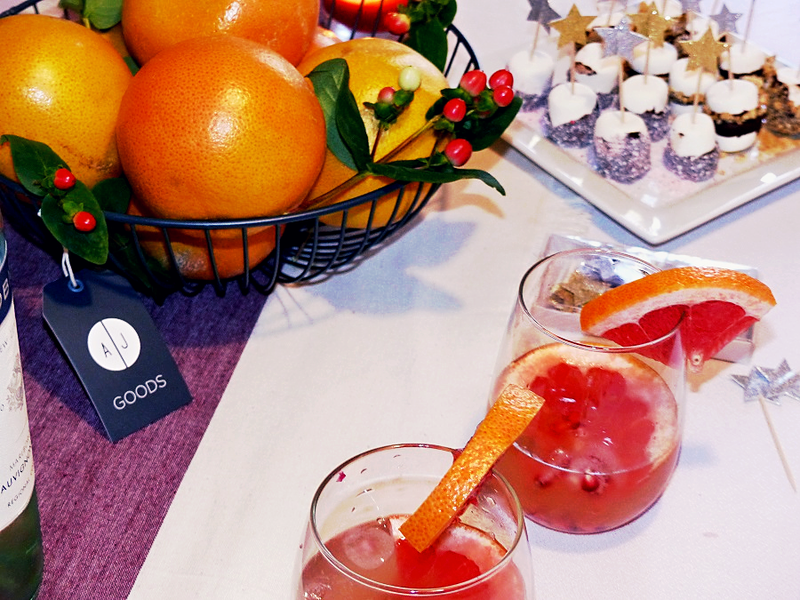 Lisa Sugar did great job at curating the box with brands that will help you pull off that perfect party. 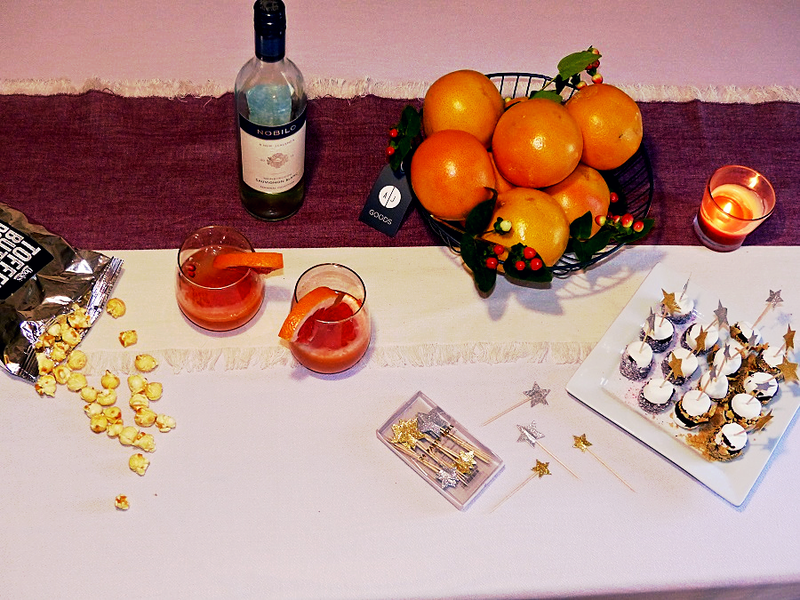 And there were also some other goodies that didn’t really fit into my holiday entertaining theme, like my Kendra Scott bracelet. I mean but I’m not complaining! Who doesn’t love a great piece from Kendra? Keep reading to see some great things from the PopSugar Must Have Box! No table setting is complete without a great center piece! I took this AJ Goods basket that I received in my Must Have Box and filled it with some seasonal grapefruits and sprigs of greenery I bought at my local florist. Very inexpensive and appealing centerpiece with holiday colors! And I’m sure you are wondering what is in the wine glasses. Well that’s something I like to call a white sangria ;). I’ll be sharing the simple recipe in an upcoming post so stay tuned! 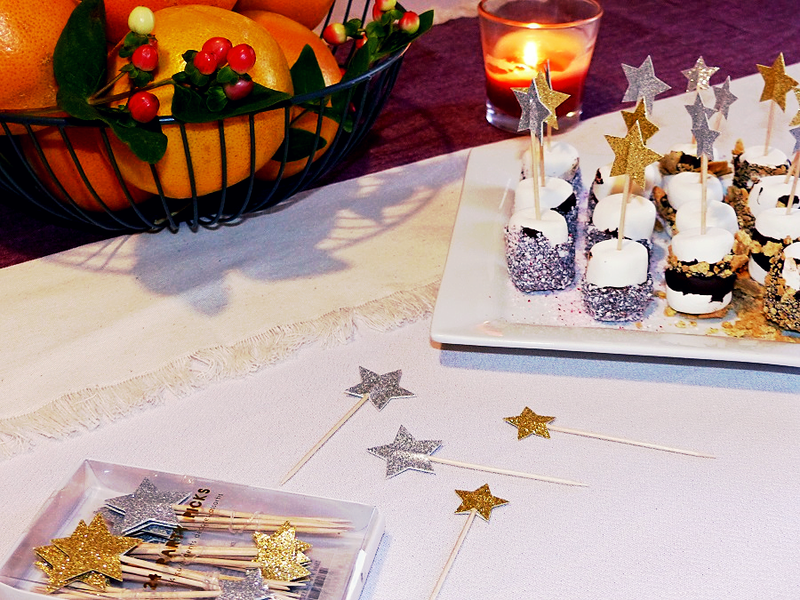 Add some fun to your party nibbles with these sparkly star picks from Meri Meri! 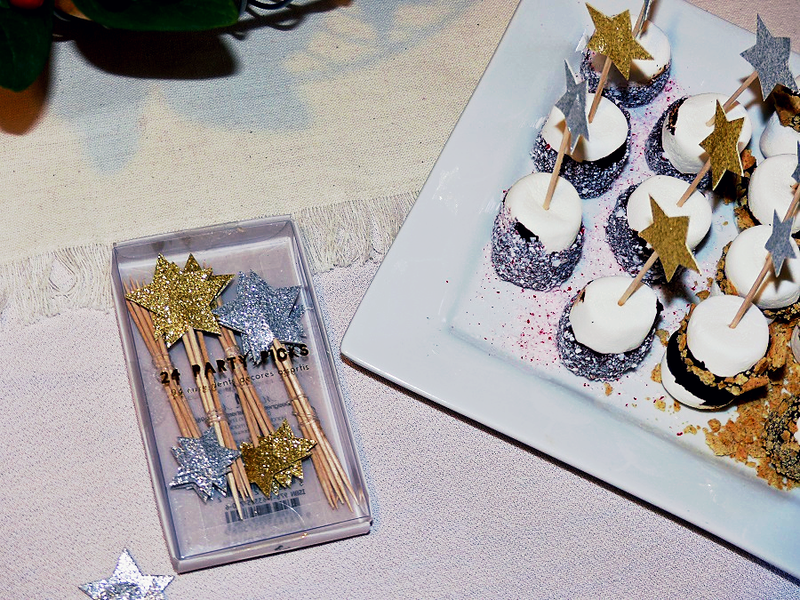 The party picks come in packs of 24 of different sized star picks and are valued at $8. This brand has themed birthday cards, party poppers, and party decorations that are perfect for bringing your holiday festivities to life!! I made these delicious Smores bites as a fun delicious dessert that adults and kids will love! Perfect for X-mas and New Year’s eve gatherings! 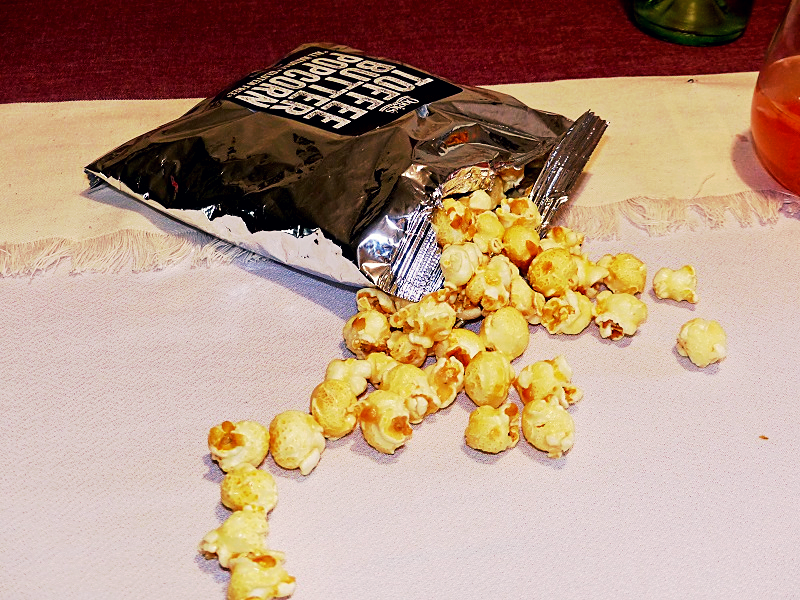 Yet another great party snack is this delicious Toffee Butter Popcorn from Oogies . 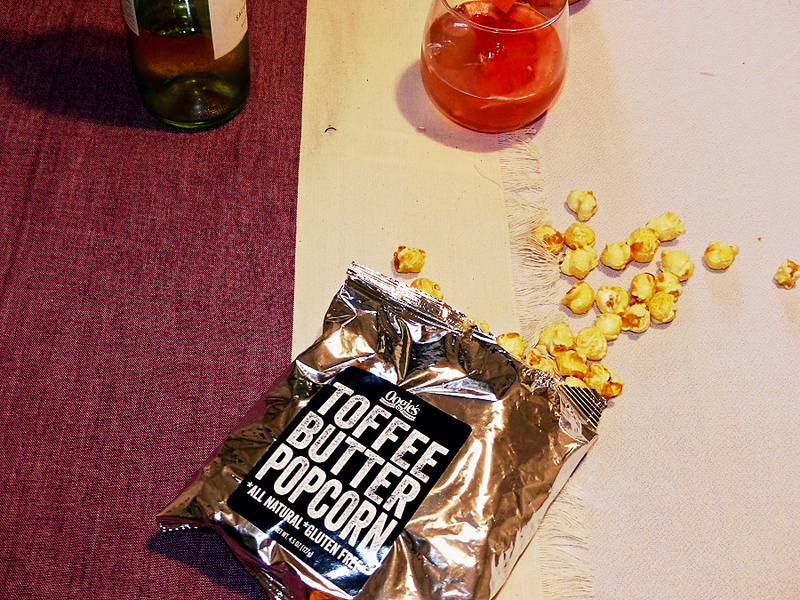 It’s sweet and crunchy and your party guests will love it! Pour it in a bowl for an easy pre-meal snack! Some honorable mentions from the box that are not photographed include a stunning Kendra Scott bracelet and makeup compact from Stowaway Cosmetics . Plus coupons from Kendra, Pehr, and Stowaway cosmetics that I can’t wait to use! All in all this month’s box is valued at over $165 which is a STEAL considering a one month subscription is only $39.95. 3 Months for $109.85 – Buy 3 month now and save $10.00. 6 Months at $214.70 -Buy 6 month now and save $25.00. Just take a look at all the previous boxes I’ve received in the past 4 months. It’s worth the value. Not only is the box itself a great Christmas gift, but the items inside make great individual gifts and stocking stuffers. 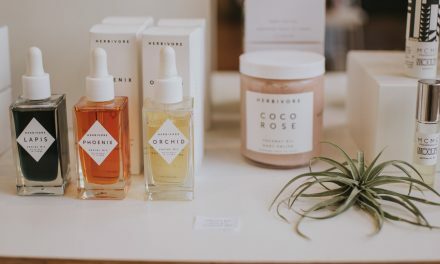 Check some names off your gift list and take $5 off your first Must Have Box!